Celtic and Rangers could both be fined by the Scottish FA for failing to control their players at the end of Sunday’s Old Firm clash. Andy Halliday angrily confronted Scott Brown after the Celtic captain celebrated in front of the away fans in the aftermath of the hosts’ 2-1 victory. This led to a melee with several players on both sides getting involved in a pushing match. 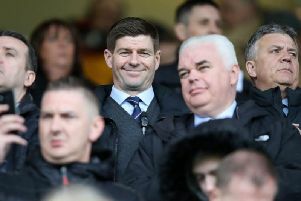 Halliday was shown a second yellow card for his part in the drama, while Rangers substitute Wes Foderingham and Celtic defender Mikael Lustig were also booked. Hearts and Hibs were each fined £10,000 over player behaviour in the 0-0 Edinburgh derby draw back in October, and the two Glasgow clubs could receive the same punishment. Ross County and Inverness CT were also fined £2,500 each for a similar brawl.